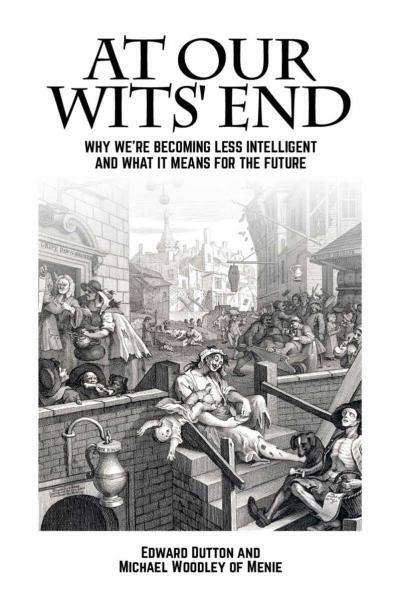 The authors take us on a journey through the growing body of evidence that we are significantly less intelligent now than we were a hundred years ago. The research proving this is, at once, profoundly thought-provoking, highly controversial, and it's currently only read by academics. But the authors are passionate that it cannot remain ensconced in the ivory tower any longer. With At Our Wits' End, they present the first ever popular scientific book on this crucially important issue. They prove that intelligence -- which is strongly genetic -- was increasing up until the breakthrough of the Industrial Revolution, because we were subject to the rigors of Darwinian Selection, meaning that lots of surviving children was the preserve of the cleverest. But since then, they show, intelligence has gone into rapid decline, because large families are increasingly the preserve of the least intelligent. The book explores how this change has occurred and, crucially, what its consequences will be for the future. Can we find a way of reversing the decline of our IQ? Or will we witness the collapse of civilization and the rise of a new Dark Age?